There is a cool glaze of music rock heads crowding towards the stage at Thekla to see the rock band Cherry Glazerr. With an inflatable cherry being blown up I expected that Cherry Glazerr would not be the typical rock band. Formed in 2013 by front woman Clementine Creevy, fusing pop-rock lyrics and a monster line up of drums and bass, you get a feeling you’ve walked into a very LA culture of music. 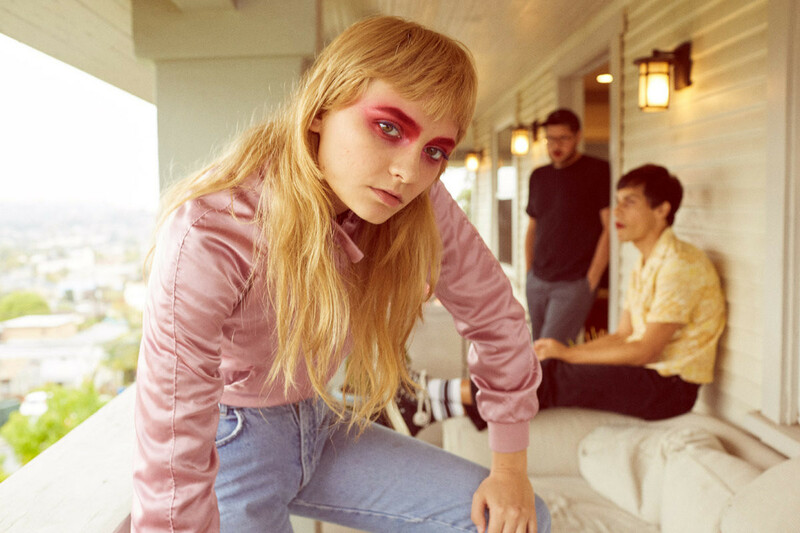 With three studio albums Haxel Princess (2014) Apocalipstick (2017) and latest album Stuffed & Ready (2019), Cherry Glazerr have been on an extensive tour this year so far. She sings this with benediction towards the crowd and falls into her guitar playing with vigour. It is clear when Clemetine Creevy enters the stage that people know her for her colourful red top and chords with Dr Martens on and a cool identity of blonde hair. In a similar way, it was like watching clips of Joan Jett in the Blackhearts’ 1970 song ‘Cherry Bomb.’ But this isn’t just about the iconic look that she seems to play as well as perform with. It’s opened up major platforms for women with guitars everywhere to create collisions in the industry. INDIGOS are next playing at Colston hall for Bristol Take Over on April 27th. Tagged bristol, cherry glazerr, Gig review, INDIGOS, Rose Parish, Thekla. Bookmark the permalink.